Aspiring superheroes gather! This Justice League Bouncer has plenty of room to practice those superhero moves. The Justice League characters are ready to welcome visitors, with smiles from the Green Lantern Superman, Batman, Flash and Wonder Woman. 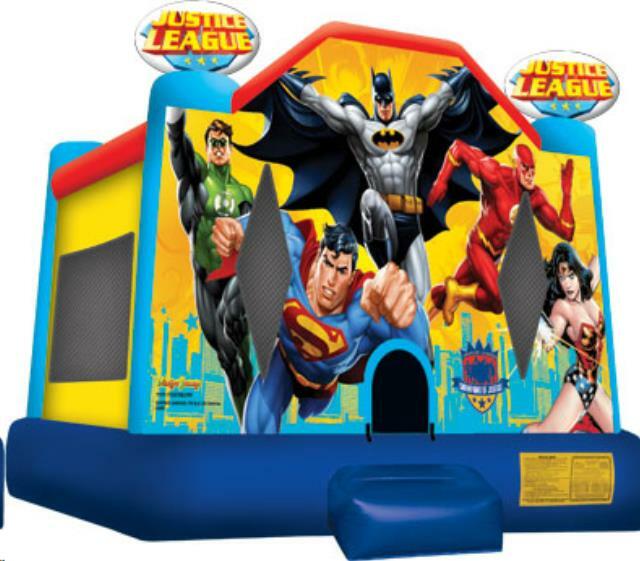 * Please call us for any questions on our justice league bouncer rentals in Rocky Mount and Wilson NC.